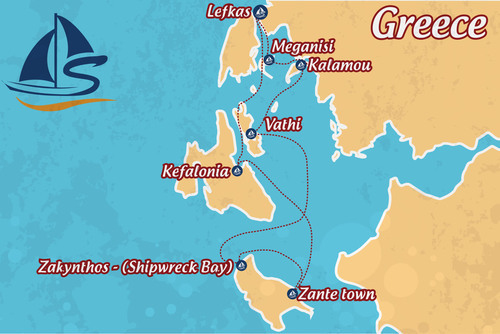 Join us for a 7 day sailing holiday around the spectacular Greek Islands! 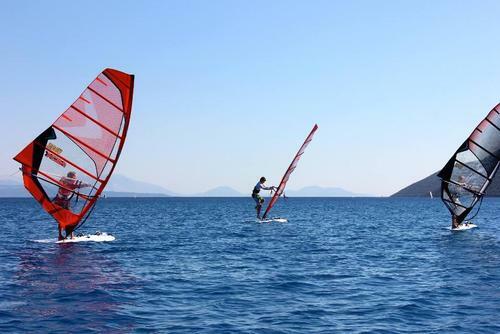 The Ionian Coast is the most relaxing area of the Greek Islands, with tall cliffs offering sheltered sailing conditions and a mild temperature, which makes them the ideal location your sailing holiday, without it getting too hot. 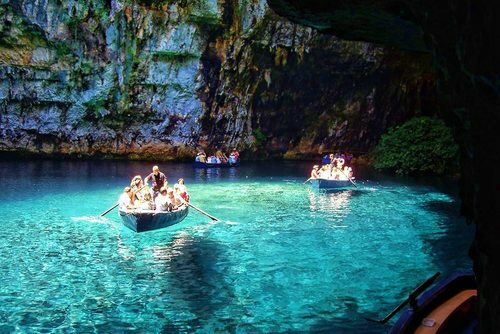 The Ionian waters are the clearest around, perfect for an afternoon dip and with an abundance of dockside tavernas to choose from, you’ll never be too far away from traditional meals and the warmth of the local hospitality. 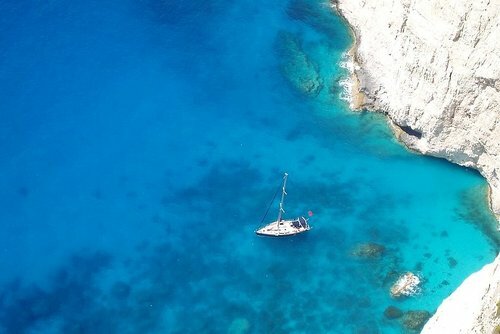 Join us as we explore the Blue Caves, the world famous Shipwreck Bay for an overnight experience of a lifetime and re-discover the Melissani Cave, not to mention the spectacular sailing around the Greek Islands. 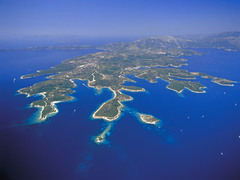 The islands also offer tranquil bays, small villages and site of natural beauty for you to explore. 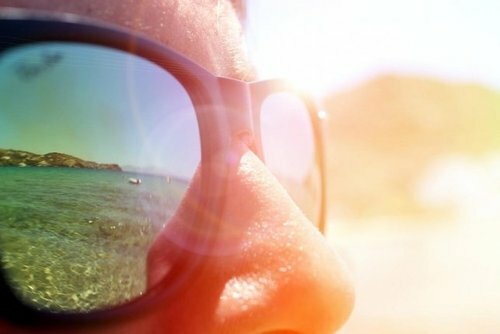 If you like what you've heard, then this trip is perfect for you, so confirm your dates, gather your friends and book today to secure your skippered sailing holiday. 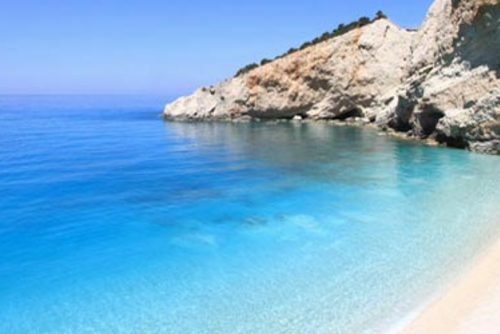 Lefkas, also known as Lefkada and is surrounded by sparking clear water and is lush with greenery. Lefkada town was built on the edge of a salty lagoon where earthquakes are a constant threat. The town was devastated in 1948 by one, only to be rebuilt in a distinctively quake-proof and attractive style. 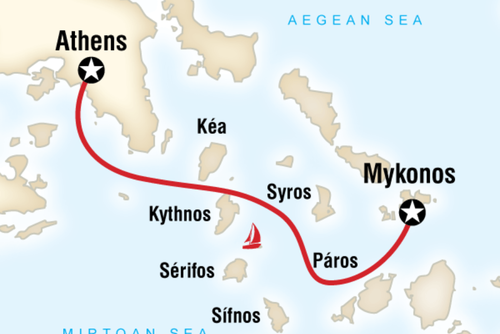 Our first stop is Meganisi, which is a brief sail away where we will stop for the evenin, before going in search of a private bay in the morning. 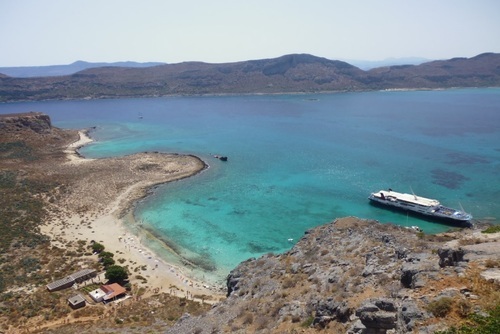 Meganisi has amazing, untouched virgin beaches and we’ll explore the inlets looking for our very own private beach for a swim stop, which can only be accessed by boat. While the beaches have thier untouched appeal, the many fishing taverns have a warm welcome to them. You can stroll along the promenade and enjoy a meal and the hospitality of the locals. 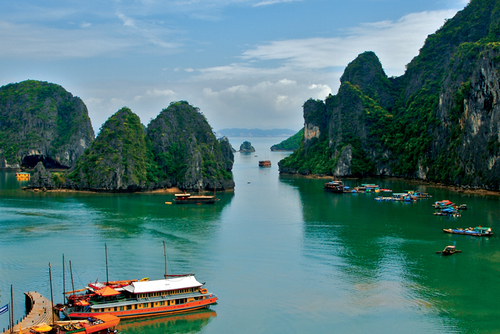 The island has a dramatic landscape, which combines high peaks and steep slopes that drop into the sea. The island’s first inhabitants date back to the Neolithic era, with evidence of hunan habitation. After discovering the islands strategic advantages, it was of military importance during the Hellenistic period of Ancient Greece and the surveillance of the strait was organised more effectively in the late Roman age. 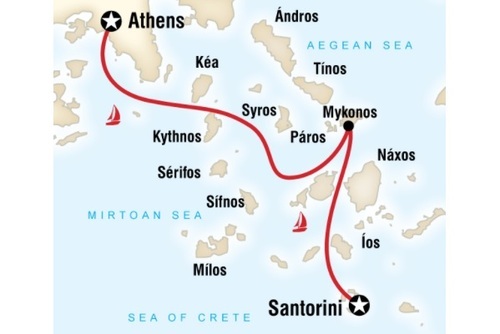 On our way to Ithica, we will stop half way at the island of Atokos for lunch and swim stop on pristine white beaches with the bluest of water. Ithica is the home of Odysseus, the King who left his wife and home in pursuit of victory at the battle of Troy. Ithaca is a peaceful island, ideal for relaxing and enjoying a slower pace of life and some of the meals the local tavernas prepare stay true to the ancient recipes of an older time. Shipwreck Bay or Smugglers Cove also called Navagio Beach is probably the most famous beach in Greece and can only be accessed by boat. 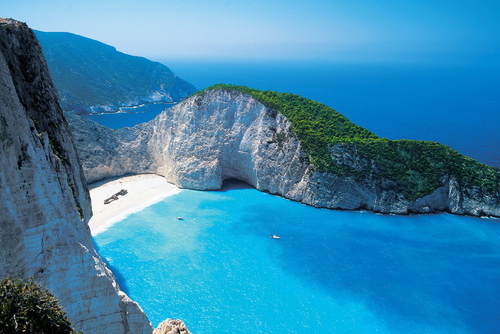 The picture perfect beach has been photographed more than the Acropolis in Athens. The Beach has large steep cliffs, which gives it a remote, inaccessible feel. Weather permitting, we will anchor for the night and enjoy the sunset from the comfort of our boat and wine in hand. What could be more perfect? 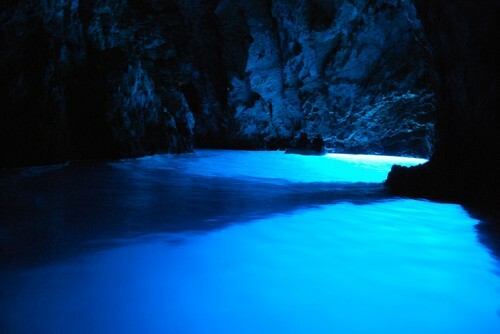 After waking in paradise, we will set sail for the Blue Caves where we’ll drop anchor for breakfast and can explore the caves. After breakfast we’ll make way to Zante Town where you can walk the streets with traditional Venetian Style buildings and find a nice variety of taverns with traditional local cuisine and fresh fish. Find a café for that turns into a bar and enjoy a relaxing drink, or make your way back to the boat. 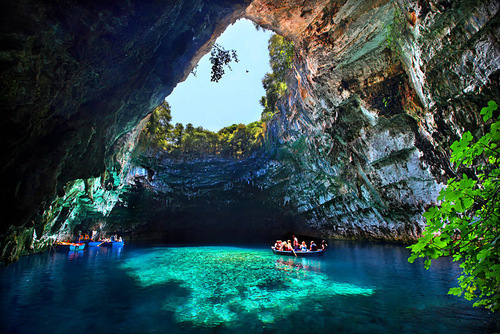 Kefalonia is a magical island and the largest in the Ionian Sea. 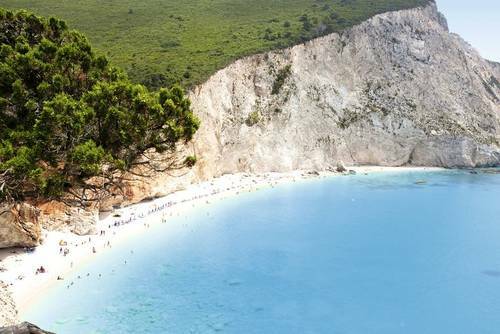 Although it has developed over years as a family destination, beaches in Kefalonia never get crowded. Famous for it’s exotic beaches, including Antisamos and Skala are stunningly beautiful beaches we’ll pass on the way to Sami, where you can make your way to the Melissani Cave, lounge on the glorious beaches or explore the island at your own pace. 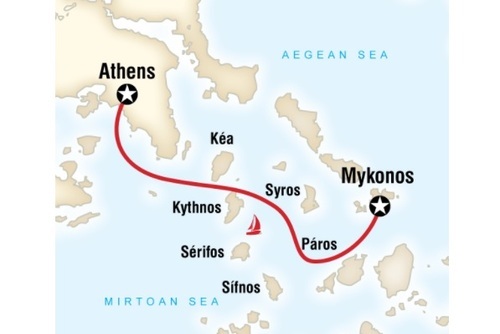 We have a respectable sail ahead of us, so we make way and start sailing north, back to Lefkas and if time and weather allows it, we'll make another stop along the way for a final beach swim to soak up the Greek sun and take mental photos of the stunning coastline. The 'Lefkas Night' is the perfect setting for a farewell dinner and to reminisce over a glass of wine with your new friends.